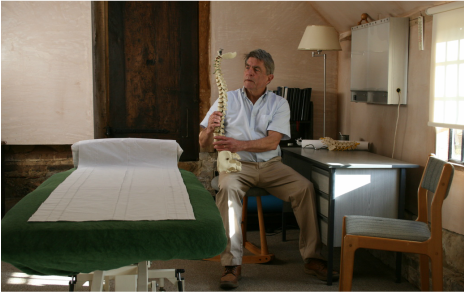 ﻿﻿﻿﻿﻿﻿﻿﻿Ha I trained at The British School Of Osteopathy and have been in practice for over 30 years. In that time I have carried out more than 60,000 treatment sessions. Over the years I have successfully treated a wide and varied range of conditions presented by people of all ages and from all walks of life. - Children with upper thoracic pain often caused by carrying so much to school. - Seniors with arthritic changes to the spine, hips, shoulders, knees and even thumbs. - Just about everybody who sits in front of a computer for hours develops deep rooted soft tissue changes. - Sports injuries as well as chronic and long term problems that require regular attention. Helping you to understand and visualise your problem is essential. Although most people have a limited knowledge of anatomy and physiology, understanding a little bit about your own problem will speed your recovery and decrease the likelihood of recurrence. This is a priority. With treatment and guidance you will recover more quickly.